A whiff of competition is in the air. It is swirling through every nook and cranny and drawing battle lines in its wake. The buzzword on the tip of everyone’s tongue is Chabahar Port, the distant and impoverished cousin of Gwadar Port. The frightening mix of antagonism and optimism has paved the way for increased polarisation. At this stage, our vision of both projects and their intentions have been blinkered. Sceptics believe the long-awaited trilateral agreement among Iran, Afghanistan and India to develop Chabahar Port poses a threat to efforts to boost the untapped potential of Gwadar Port. On the other extreme, a series of attempts are being made to rope Pakistan into the agreement. As expected, the response to the matter has been exceedingly diplomatic instead of confrontational. A large number of Pakistani officials have also gone on record to discredit rumours that Chabahar will undermine the scope and influence of Gwadar Port. As separate narratives emerge over which project will reap greater benefits and what the weakest link is, the initial goal of these initiative is in danger of being undermined. The tug-of-war and a gruelling battle of nerves between the various stakeholders has made us forget that these projects serve as attempts to fuel change, not shift the axis of the world order. Chabahar and Gwadar will unlock the doors and windows for positive change. If the assurances of Iranian Ambassador Mehdi Honardoost’s are anything to go by, the pact signed between Iran, Afghanistan and India will not seek to rival Gwadar Port or undermine the fundamental aims of the China-Pakistan Economic Corridor (CPEC). On the contrary, it will seek to capitalise on their comparative advantage and reap benefits from each other. The ambassador has revived debates surrounding the Iran-Pakistan gas pipeline to persuade Pakistan to enter the agreement. The project has remained a sticking point for a long time as Pakistan has frequently succumbed to pressure and failed to begin work on the initiative. If Pakistan adopts a favourable approach to the Chabahar agreement, it will set into motion plans that have remained in the pipeline for a long time. In a similar vein, it will help the country address the growing insecurities faced by former defence secretaries that the trilateral pact will isolate Pakistan in the region and pose a security threat. At this critical juncture, it wouldn’t be fair to discredit the initiative because it is believed to have cropped up as a means of undermining CPEC. It is immaterial that one project is a veiled attempt to thwart the other. If both initiative are allowed to operate parallel to one another, they will eventually forge the path to progress and become the game-changers that they are expected to be. Why should it matter if one project is a veiled attempt to thwart the other? If both initiative are allowed to operate parallel to one another, they will eventually forge the path to progress and become the game-changers that they are expected to be. If we focus on the neutral spaces of justice instead of trying to understand the matter in terms of shifting world orders, the fundamental purpose of such initiatives will become clearer. In a region plagued by uncertainty, development can help undo the toxic past and ensure that it does not repeat itself. Why should we lose out on this opportunity because of a string of conspiracy theories? Although it seems naive to completely erase the impact of history in such matters, we can isolate this factor and needlessly draw insights from it. After all, what good would it do to cling to the past if it keeps holding us back? Which of the two Pakistani ports do you think will reap greater benefits? Chabahar port was promoted by India to bi-pass Pakistan – not compete with Gwadar. India is anxious to develop the port – will be it’s primary customer – and has the backing of Iran, Afghanistan and the USA (no sanction issues). It will be economically viable on it’s first day of operation with customers and govt’s in India/Afghanistan pushing the project. Meanwhile Gwadar remains a mystery. Karachi has excess capacity so there is no demand by the Pakistan business community for Gwadar. Gwadar has sat mostly finished for over a decade and nobody (including China) ever expressed an interest in the port … Pakistan had to beg China to take over the port and they still haven’t made a concerted effort to open the port for business. Gwadar lacks power, water, storage, roads, railways, etc. normally associated with major port/distribution hub .. seems like the biggest promoters are politicians. Gen Awan was belittling Afghans. They are dependent on Pakistan for their survival. Pakistan control the logistics & provide Daal, Chawal, Ghee to Afghanistan. Therefore, Pakistan has the right to impose Taliban on Afghanistan & packing up India. Dreaming, how can the world leave Afghanistan at the mercy of Pakistani generlas. They have been there & they got 9/11 & you know what followed. The author’s knowledge is all over the place but is trying to make the case for reaping the fruits of Chabahar Agreement, which is laughable. Iran Pakistan gas pipeline issue of contention is the pricing that they are asking from Pakistan to pay, pre-sanctions. Turkey has to pay $200-250 per., which is too much. Iran has always asked for more in all of its business deals, this pipeline is pretty expensive. Please research Qatar Pakistan agreement and check the price they gave to Pakistan. Post-sanctions its common sense that Iran will increase the price. Then go back to your Afghanistan…..We Pakistanis don’t need you. Afghan is Afghan, doesn’t matter Pashtun or any other. Take your and your all fellow refugees back to Afghanistan or India. Pakistan is our country and we can throw you out anyday. We are about to kick Afghans from our country. Process has been started. Borders have been established. Torkham border has been tightened. No more illegal crossing. No more Afghan and Indian terrorism on our soil, who were taking advantage of that porus border. I m Pakistani Pashtun and I hate Afghans to the core. You are now jealous that how Pakistani Pashtuns are progressing ahead while your countrymen are sucking balls of US and invaders. Instead of complaining,you and your people should be thankful to us that we gave shelter to you. Don’t bite the hand that feeds you. Afghanistan and needs very little new expenditure. Such pridefulness because China is spending lots of its own money to build a port to service China’s needs. Not Pakistan’s needs but China’s needs. Where does Pakistan figure in all this? It provides security to Chinese trucks travelling up and down the link roads to Gwadar! Ever seen those ferociously mustachioed security guards who sit outside jewelers’ shops, shotgun across their knees? That’s what Pakistan’s role in Gwadar has become. India, Iran, and Afghanistan are building a port to service their own particular needs. Whether that costs half a billion or a hundred billion is besides the point. India is not an export oriented Economy so exporting to Afghanistan and CAR is not really top of the agenda here. But, it certainly helps. You do realize $46 is a loan right? India is known to build quality stuff for cheap. Remember our Mars rover built for a measly $75 million? Its much easier to get back $500 million investment than an amount 92 times larger on similar infrastructure. You guys have to pay back every single penny of that $46 billion with interest. CPEC is the biggest bet your gambling addicted elite have come up with. How on Earth will you get so much money? China will bring its companies, its workers and all this $46 Billion will flow back to China! It wont even pay transit for using the facilities it built. How will you generate revenue? Small correction: India is investing $20 billion in total. The $500 million is for the construction of the port alone. How will Iran move gas to India? There is a difference between actual investment and ‘commitment’ which is worth zilch..
$150 mil of actual investment is worth much more than $45 billion of commitment/MOUs, specially in rapidly declining chinese yuan loans that has to be paid back @ 18% interest in $$. This kind of discussion is redundant. A trade can succeed if it clears all barriers. Pakistan erected barrier for India by denying it land route to access Afghaistan and beyond. Chabahar therefore became a necessity. Is this going to compete with Gwadar? Pakistanis probably do not know this. Out of 47 billion dollars of investment in CPEC, about 11 billion is by loan from China. These are soft loans but still loans with an interest rate. Pakistan has to provide road infrastructure to and from Gwadar. That is likely to involve mostly Chinese engineers who probably will also tell Pakistanis how to build the infrastructure. That means the money given to CPEC goes back to China in form of investment in its own people. China then gets to export stuff from its mainland through Gwadar but Pakistan has to provide security for the trade route. This is going to be tricky considering there is an insurrection in Balochistan and Pakistan is a haven for terrorists. Your Pak govt is yet to build the road infrastructure to and from Gwadar. At least that is the impression i get from your Urdu talk shows. Who says India isnot a export oriented economy? What is IT and ITES. We live in an era of bilateral, trilateral, multilateral trade agreements. By closing itself to trade with India, Pakistan is shooting itself on the foot. That is a laughably naive analysis of the current situation and we in Pakistan really enjoy it when people from across the border make fools of themselves, which is a regular occurrence really. 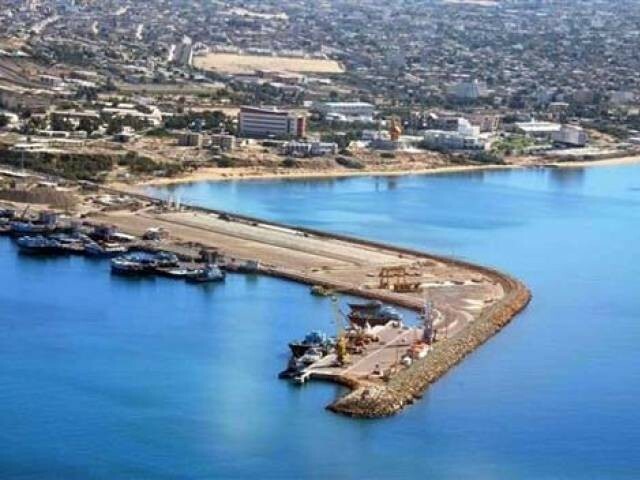 The Chabahar port is located in Iran and while the sanctions have been partially removed, India is conveniently ignoring the antagonism Iran has with the USA and the very real threat of sanctions snapping back when it suits the Americans. Then we move to Afghanistan, which is already supplied by Pakistan and while some traffic might be diverted to Chahbahar, 70 years of connections cannot be diminished instantly even if the Afghans go for an all out war. Thirdly, the Indians plan to connect with Central Asia but how they will navigate safely through war torn Afghanistan is really beyond me. Well the figures that you are giving are old ones. Till date there is no feasibility report on CPEC, in the absence of that how can you say that the venture will profitable? Tell me what is the volume of business you expect to generate in the 1st five years. @Desy : 1. The IPL is a completely Indian Oriented Cricket League. No Non-Indian has a RIGHT TO DEMAND participation in the IPL. As long as Pakistan keeps perpetrating Terrorism in India the Pakistani Cricketers will not get a chance to Participate in the IPL just for the sake of earning Money. 2. Pakistan Actors, Singers etc. have no RIGHT TO DEMAND TO perform in India so as to earn Money. You will note that no Indian Artists – singers or actors – nor Cricketers are demanding to participate in Pakistani Activities for the sake of earning Money! If you hate India so much then PLEASE STAY IN PAKISTAN. Haha..You do realise national loans are a common method of financing development and economic growth, provided they are not pilfered of course. The second point to note is that investments are of two types, which are equity and bonds. As the CPEC loans are not held on the books of the Pakistan government and are strictly against assets, they count as investment, do not affect our national debt and so our credit ranking remains secure. Thus this rabble rousing about the nature of financing is a third class show of the person’s own naivety. Moving on, i find it hilarious that you point to India’s projects as a model for any country. The Arjun tank and the Tejas have been rejected after decades and billions of dollars worth of wasted development. The Nirbhay missile can’t hit a target the size of a city and that is the one missile that India tried to build itself (the BRAHMOS is a direct copy of an old Russian missile). Regarding costs, the Chahbahar project is a fraction of the size of the CPEC, which aims to completely upgrade the infrastructure of Pakistan, versus the pitifully tiny Chahbahar project of a few berths and a rail line. The economic effects of infrastructure development go way beyond just the construction of the roads and that you can learn by studying the growth stories of countries like the USA, UK or Germany, or very soon you can learn by studying the story of Pakistan. The loans are being provided at marginal rates and will be recouped through transit fees. If you don’t understand all of this, I don’t think anyone can put it any simpler than that. The Chinese are building up the CPEC to provide an alternate strategic route for supplies. They are also supporting Pakistan to keep India occupied and keep a strong army on it’s westtern borders. Pakistan needs the CPEC to jump start it economic growth and at the same time conjoin itself with China to ensure its survival against a malevolent India. Let’s first let the ports get developed rather than jumping to the real commercial value. Looking at the Central Asian map if China needs to connect to Central Asian states it doesn’t need CPEC. It shares borders with 3 central Asian states Kazakhstan, Kyrgyzstan and Tajikistan. If terrain is a problem then Chinese have mastered the art of developing infrastructure around it. So let’s keep China out of the equation. It will using Gwadar as an alternative to Chinese ports to avoid transportation costs & for its energy supply lines from ME. facilities are already in place and completely paid for” ….. Yes for Chinese but here we are talking about India trading with Central Asia through existing facilities in Pakistan which we needed access to and Pakistan had objections to. The Chabahar came as a second alternative. against this the considerable cost of developing Chahbahar Port as well as rail and road network passing through mostly arid and inhospitable terrain on the way to Afghanistan will have to be factored into the transportation costs by the end users” ….. If you ever have a chance to visit India I can tell you drive some places where it will be unbelievable for you to think the infrastructure though on a small scale can be developed by India. The terrain on the Eastern side liking Arunachal Pradesh with the rest of the country and an air strip in Leh are just little examples what can be done. much Central Asian and Chinese trade, if any “…… Sir what we are talking about here is the Indian trade with other states not Chinese .. they are welcome to stay out or join in if they need. India needed access to central Asian states for which it needed passage through Pakistan and the rest is the history we all know. Again going back to my first line of comment … let both get developed first to see the real value rather than we all becoming analysts & start pouring our opinion. “Chances are, unlike the Chinese, they will not invest their own money but simply act as contractors to build” ….. Let the Iranians decide whom they want to choose & at what price, We have seen Chinese investment in Sri Lanka developing their ports & the outcome of that ending SL paying the price they never factored in. North Korea too is completely dependent on China. Look where it is. When US sanctions Pakistan, like it did with Iran, Pakistan will go the North Korea way. NATO countries form more than 70% of world’s GDP. Are you saying our Mars rover is a flop? Yes, up and coming tech power, we will fail at some and achieve spectacular success at some. But, roads and ports we have built in large number within India and other places. Your blind hatred of India won’t even allow you to recognize what a fantastic achievement Mars mission was for India. How is India being taken for a ride? US is not doing us a favor. It needs buyers and we need stuff. They need fresh expanding market and we have that. Its a partnership of mutual benefit. Pakistan is the most hated country in Afghanistan. If Chinese use Chabahar, they are more welcome! It will benefit Afghanistan which can charge transit fee and contribute in making the Afghan Govt consolidate its power. @charlesshwab Illiteracy and militant training can also be found in RSS seva dham schools or literature from Panchajanya where they train women how to protect themselves from love jihadi muslims rofl. and so does Tejas with orders on book for 140 of them.. Unlike the chinese(M-9, M-11) and North Korean (No Dong and TapoDong) missiles with paint jobs. And we have already seen the effectiveness of those missiles in recent DPRK tests… with ridiculous CEP of 200-800 meters.. on a good day. Same with painted MBT-2000 or JF-17 with ZERO technical pak inputs. So intermarried families (a minuscule minority) is your hedge against the massive development and INSTC? I m pure Pashtoon and i will kick any Afghan happily who disrespects my country. Pakistani Pashtoons will throw all Afghans out of Pakistan. It has already started. Torkham border has been tightened. No more Afghans can come into our land. Lol. By tightening border, Pakistan has already shown its courage to impose Durand line on Afghans. Afghans will soon accept this as international border. The sooner Afghans come into their senses, the better it will be for them. And you are surviving just because you r the biggest recipient of US aid. Poor Indians. While your country imports cotton and vegetables from India and lot of illegal trade via dubai into Pakistan which mostly includes meat, Medicines, Tires) worth Billions of dollars. The reality is other way round… We have captive Airforce base in Tajikistan, unlike the monkeys who have nothing. TAPI – The P here is only there because it was the transit route, just like Monkey in the middle. Chabahar is an end port to INSTC which is much bigger than CPEC.. India is spending more on DMIC ($100 Billion) than Pakistan can ever imagine to spend its borrowed money on CPEC. Lastly you also need to realize that CPEC is ONE (Just ONE) project that you have. India has 4 International projects and 5 Domestic projects that rival/Exceed CPEC in its scope. All above Project are more than 2 country projects, unlike CPEC which is Chinese Captive because pakistan has NOTHING to export. – Since, 2000 Between India and Pakistan: Pakistan has received more Military and Economic Aid from USA than India. Almost $35 Billion, though Military Aid is much more than what is documented.